Sylhet Sixers and Chittagong Vikings will lock horns in the seventh encounter of the Bangladesh premier league on Wednesday, January 9 at the Shere-E-Bangla Stadium, Dhaka. 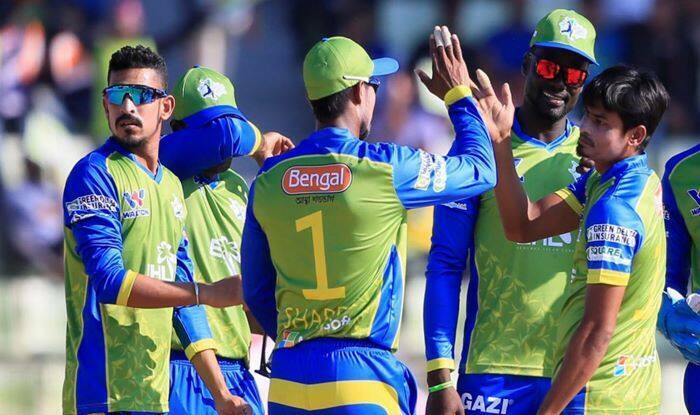 BPL 2019 Sylhet Sixers vs Chittagong Vikings Match 7 Live Cricket Streaming And Updates: Sylhet Sixers and Chittagong Vikings will lock horns in the seventh encounter of the Bangladesh premier league on Wednesday, January 9 at the Shere-E-Bangla Stadium, Dhaka. Both teams had a contrasting start to the tournament as David Warner-led Sylhet lost their opening game against Steve Smith’s Comilla Victorias, whereas Chittagong won their first match against Rangpur Riders. Warner who was sidelined from the cricketing world made his comeback by playing a regretful knock of just 13 runs and will definitely looking to gain his confidence which will boost up team’s momentum ahead of the crucial phase of the tournament. The team also features players like Liton Das, West Indies’ T20 expert Nicholas Pooran, Young Nepali gun Sandeep Lamichhane, who didn’t perform in the previous game but are the game changers for Sylhet. Meanwhile, Mushfiqur Rahim-led Chittagong will be looking to continue their momentum. South African all-rounder Robbie Frylinck was the reason of their victory as his 4/14 help the team to bowl the Riders out for just 98 and will be the player to watch out for, in today’s encounter. What time does the Sylhet Sixers vs Chittagong Vikings match in the BPL 2019 starts? The Sylhet Sixers vs Chittagong Vikings match in the BPL 2019 starts at 12:00 PM IST, January 9 (Wednesday). Where is the Sylhet Sixers vs Chittagong Vikings match in the BPL 2019 being played? The Sylhet Sixers vs Chittagong Vikings match will be played at the Shere-E-Bangla Stadium, Dhaka. Which TV channels will live broadcast (in India) the Sylhet Sixers vs Chittagong Vikings match in the BPL 2019? The Sylhet Sixers vs Chittagong Vikings match in the BPL 2019 will be live broadcast on DSport in India. How to watch the free online live streaming of the Sylhet Sixers vs Chittagong Vikings match in the BPL 2019? The free online live streaming of the Sylhet Sixers vs Chittagong Vikings match in the BPL 2019 will be available Youtube. What are the probable playing XIs of Comilla Victorians vs Rangpur Riders match in the BPL 2019?